When talking about summer being my planning time, I realized that I forgot to tell the origin story of my Fairy Tale series. That poor series is my forgotten stepchild. It sells okay, but makes up for that with being in audio and being published in Japan. I just tend to think of it as less successful because it gets about zero buzz. I seldom see people gushing about it online the way I do my other series. And it’s really, really hard to write, for some reason. I never seem to know what one of those books is going to be about until I’ve written a draft — and that’s after doing a fairly detailed plot outline. Entire characters and storylines appear out of nowhere to mess things up. I do plan/hope to write more books in this series, but they’re lower on my priority list at the moment. I started planning this series in the summer of 2009, so it fits my summer planning/research pattern. 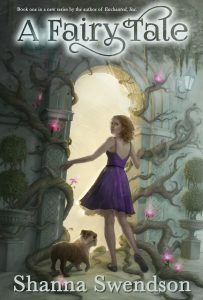 I’d had a proposal for a new fantasy series making the rounds earlier in the year, and the rejections I got were along the lines of “we were hoping for something more like Enchanted, Inc.” I had this vague mental image of a woman walking a bulldog down a city street and disappearing into the mist, and I had a character who’d been living in my head since I was in college who had never been quite right for any story I’d written. I’d also done a lot of research into fairy folklore for another project that hadn’t gone anywhere. All those things came crashing together when I woke up in the middle of the night with what ended up becoming Sophie’s first scene in the book, and I realized this could be my “more like Enchanted, Inc.” project. It had some things in common — the small-town Southern girl heroine thrust into a magical world — but was different enough that it wasn’t like I was just writing the same thing over and over again. I was a bit discouraged about my career at that time, and I decided to make that summer into a boot camp of sorts, devoting a lot of time to reading books on writing craft, working on my writing, and really digging deep into developing this story. Meanwhile, I was researching various aspects of it — reading memoirs of cops to get into the head of one of the characters, reading books about southern women, reading more stuff about fairies and the psychological underpinnings of fairy tales. In late August, I took a trip to New York to research the settings, and when I got home, I started writing. It actually took me a few years to finish that book because first I got sidetracked by Rebel Mechanics, and then the Japanese publisher asked me for another Enchanted, Inc. book. Between projects, I’d go back to this book and try to rework the ending until I got it right. Alas, when it finally went on the market, the editors didn’t know what to make of it. I was told it was too “romancey,” which is funny because there isn’t actually any romance in it. Characters have feelings, but don’t act on them. I guess they thought that since there were two cases of women meeting men early in the book, it was going to be a romance. If they rejected it for being too romancey for fantasy, they obviously didn’t actually read the whole book. 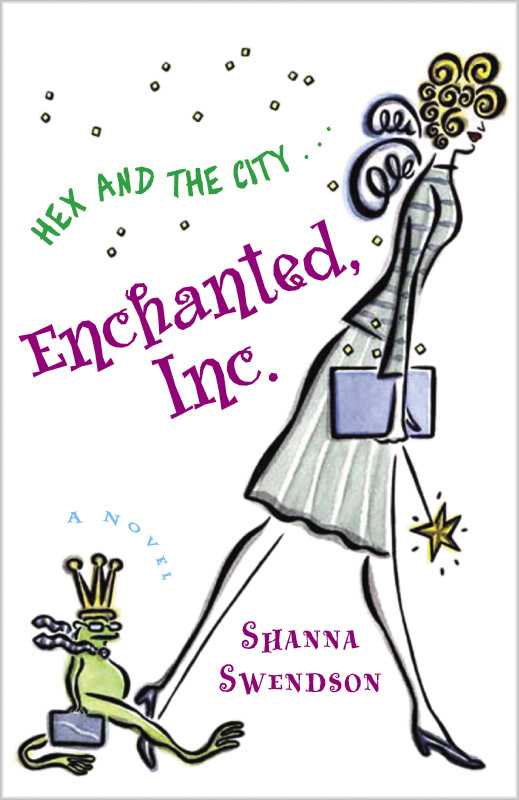 By that time, I’d started self-publishing the Enchanted, Inc. books, so I decided to publish it myself. I guess maybe the publishers were right that there wasn’t a market for those books, but I still love them, as challenging as they are to write. Now that the situation has been established, I’ve been thinking of transitioning the series to be more of a paranormal cozy mystery series, where Michael gets cases he needs to bring Sophie in on. It would be less about big stuff going on in the fairy world and more about these characters functioning between two worlds as their relationships slowly develop. But I have a few other things I want to get written first. It’s good to hear that! I do want to write more books in that series.